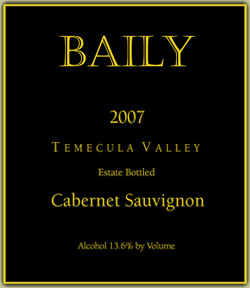 Cabernet Sauvignon is arguably the premier red wine grape. These grapes hail from the oldest vineyards in Temecula, planted in 1968 and purchased by the Winery in 1990. It offers warm, rich tones with subtle, herbaceous qualities and a hint of mint. These wines age beautifully year after year, offering a silky smooth texture.